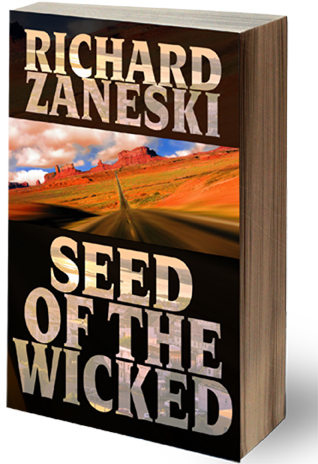 Seed of the Wicked—murder, drugs and deceit—a suspense novel. Bad things happen to bad people . . . When Loretta leaves her husband Dan Pulaski for a ruthless drug lord’s son, she starts a roller coaster of violence and tragic events. Murder, deceit, blackmail, alcoholism and heartbreak all come into play in this suspenseful novel. Loretta’s selfishness and greed inherited from her powerful and heartless mother, lead her to take her young daughter Annie from Dan, leaving him with nothing but a bottle of booze to solace his pain. Loretta’s lover, Victorio Peña, the spoiled son of Cesar Peña, a cruel drug lord, wants to take over his father’s business by eliminating his father, but is the object of hatred by Cesar’s bodyguard, who also wants to take over the business by killing both the father and the son. Dan Pulaski and his brother, a former Navy SEAL, and father, a former policeman, will try anything to regain custody of Annie. Anything. This is a book you surely won’t want to put down. diverse audiences, and is working on more books.